How would you rate your experience with Kent International Bicycles ? 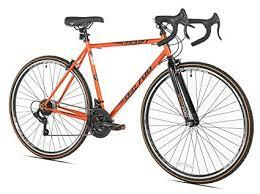 Kent International Bicycles was founded in 1909 by the grandfather of the current CEO Arnold Kramer. Originally named Philcam Cycle, the company changed its name to Kent in 1958. The companies products are sold in most major department stores and cycling shops, including Target and Walmart. Originally reluctant to purchase their bicycles, 25% of all bicycle sales at Walmart are Kent. In 2014, CEO Arnold Kramer decided to try to bring manufacturing back to the US. He purchased a factory in South Carolina. All parts are made in China but assembled in the plant in S.C. In 2016, the company acquired KaZam balance bikes for an undisclosed amount. 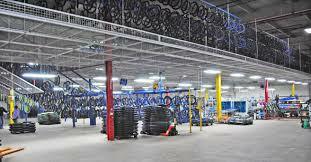 That same year, the company constructed a painting facility onsite so the bikes could be powdered coated as well. As of 2017, the company produces approximately 450,000 bicycles a year out of the South Carolina plant. Many of the employees have been with the company for more than 20 years. In 2016, annual revenue of $220 million. Company headquarters are located in Parsippany, New Jersey. Question 1: What is the phone number for Kent International Bicycles? Answer 1: The phone number for Kent International Bicycles is (973) 434-8181. Question 2: Who is the CEO of Kent International Bicycles? Answer 2: The CEO of Kent International Bicycles is Arnold Kamler. Question 3: Who founded Kent International Bicycles? Answer 3: Kent International Bicycles was founded by Kamler Sr. in 1909. Want to make sure Kent International Bicycles sees your comment or complaint?